GIVE YOUR SKIN THE ADVANCED CARE WITH OUR SKIN REJUVENATION TREATMENTS! Your skin undergoes a lot of damage every day due to a number of factors such as pollution, extreme temperatures, microbes, hormones, etc. It needs constant rejuvenation and protection to maintain its healthy state. Professional skin treatments are the basic hygiene and exercise required for your skin. 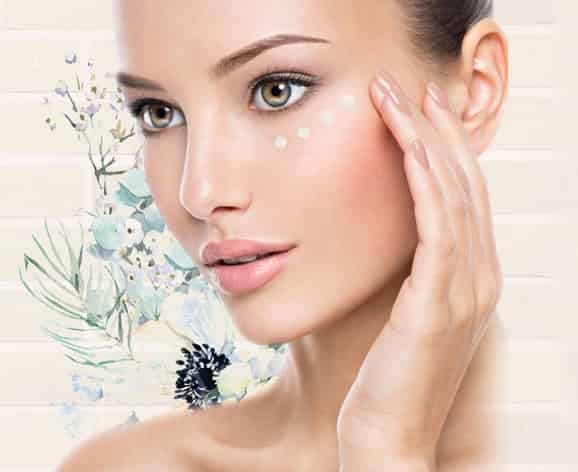 Northcote’s trusted destination for 100% organic skincare based on customised dermal solutions. 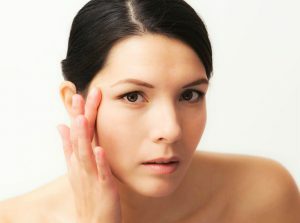 As you age, your skin starts getting looser and dull. Ageing increases the elasticity of your skin and can be a result of excess sun exposure, stress, dehydration or other factors. FRAC3 Skin Rejuvenation is a contemporary and innovative method to improve your skin by using Fotona’s Nd: YAG laser under FRAC3 Mode. It is a non-ablative method which is different from other traditional methods because of its exclusive 3D auto-fractionated laser properties. This method can effectively remove wrinkle lines and imperfections over a course of treatments. How Does FRAC3 Laser Treatment Operate? In this process, the Fotona laser beams are passed on to the surface of your skin that eventually penetrates the deeper layers of your skin. The FRAC3 laser produces self-induced thermal damage that gets activated deep into your skin tissue. It rejuvenates and modifies your skin tissue that is damaged, without harming any part of your skin. This is achieved by penetrating long/short pulses of lasers deep into your skin that can minimise heat diffusion effects. Pigmentation occurs due to the excessive melanin secretion in the body resulting in uneven black spots or patches. Melanin is a pigment that is produced by skin cells called melanocytes and gives your skin its colour. A number of different conditions can alter the melanin content of your body which includes excessive sun exposure, stress, hormonal changes or heavy doses of drugs or medicines. We, at Fresh Skin Canvas, provide you with pigmentation treatment by using medical grade QX Max lasers. These lasers help you reduce the skin discolouration and even out your skin tone. This, in turn, gives your skin a youthful and natural radiance. Using Fotona QX Max lasers is the safest, cost-effective and non-surgical method to effectively eliminate dark spots, pigmentation and wrinkles for any skin type. To make sure you receive the best services that suit your skin type, it is recommended that you have an initial consultation with one of our skin specialists. We will help you choose the best treatment and highlight the options that treat your skin in the most appropriate manner. Over the past few years, the vascular laser technology treatment has evolved remarkably. It is basically used to treat the red blemishes of your skin, rosacea, redness of the face and neck. To get information about all the recent developments at Fresh Skin Canvas and discount offers, please provide us with your email address below. Facial spiders or capillaries are a very common skin problem that is caused by acne, an excess of alcohol, rosacea or over-exposure of the sun. 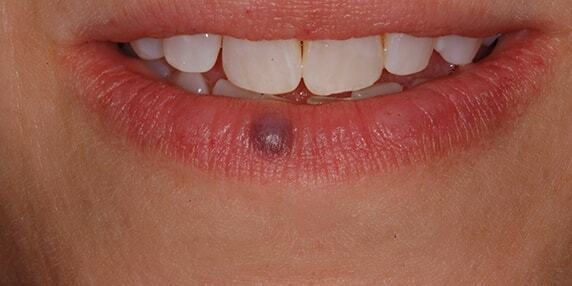 These can develop almost anywhere on the body but are common on face and legs. It is also common with women that are pregnant or those undergoing hormonal changes. Our medical lasers can effectively treat the facial spiders by specifically targeting your blue, red and purple vessels. These medical lasers can be targeted using multiple wavelengths on the facial capillaries or vessels making them disappear instantly. Venous lakes also called Phlebectasis are soft, compressible and dark-blue papules (a pimple like swelling) of about 0.2 to 1 cm that is commonly found on the body parts severely prone to sun exposure. They are usually found on lips and ears. Normally, venous lakes can be treated in a session or two using our QX Max Laser. Our lasers will treat your venous lakes thoroughly by popping out your papules until you hear a pop sound. Be it any treatment, Venous lakes respond to them too quickly. Also, post-treatment, you may find a darker scab on the treated area for few days. Angiomas, also known as Haemangiomas are benign cherry-red tumours on the skin, containing an abnormal amount of excessive blood vessels. These papules have absolutely no relationship with cancer but might be a serious indicator of overall body problems such as liver disease. Angiomas are considered bothersome and can be usually present anywhere on the body in the form of small red dots. We, at Fresh Skin Canvas, treat Angiomas/ Haemangiomas in a way similar to that of a venous lake. A long and high energy laser pulse is transmitted onto the papule to shut off the excessive blood supply. This papule, then, forms a crust and flakes away. Usually, Angiomas can be treated with a single treatment. A port wine stain is a distinctive skin problem that causes the discolouration of the human skin which is caused by a capillary malformation in the skin and is also called as “firemark”. 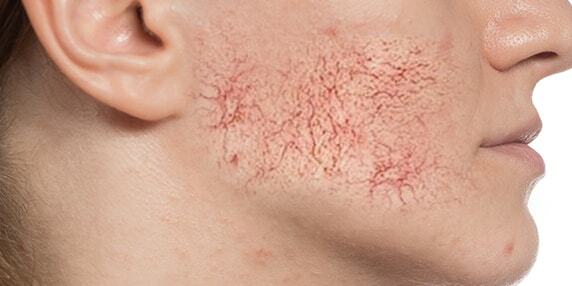 They are kind of vascular birthmarks related to your skin’s blood vessels. It occurs when the skin blood vessels don’t turn off, i.e., the blood vessels tend to get bigger and this blood results in a big red mark. Our Q-Switch KTP laser with a wavelength of 532 nm highly attracts the blood vessels or haemoglobin of the birthmark and eventually reduces the discolouration of the skin. To treat port wine stains, usually, multiple treatments are required. Spider Veins, also called Telangiectasias, is a collection of blood vessels that often develop close to the surface of the skin. They look like a spider web and are of blue, red or purple colour. Spider veins can be caused due to a number of factors such as a desk-bound or inactive lifestyle, pregnancy or weight gain. At, Fresh Skin Canvas we treat Spider veins by targeting the blood vessels with a high-energy Nd-YAG laser that attacks the haemoglobin in the veins. This eventually results in collapsing of the blood vessel. This method takes just a few minutes and is very effective and quick. Usually targeting the face, Rosacea is a very common skin condition that lasts for long. The symptoms include redness and swelling on the face along with tiny red pimples on the facial skin. 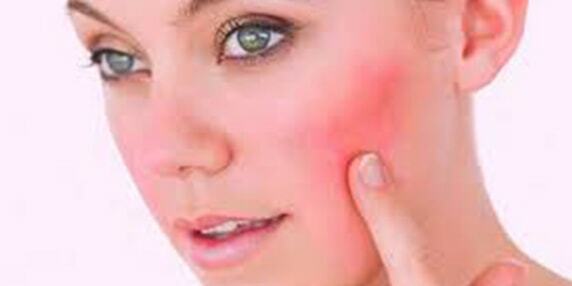 Rosacea is often mistaken for sunburn, acne or rosy cheeks and can be a bothersome situation. Rosacea is best treated using laser treatments and some medical grade skin products. The exact cause of rosacea is unknown; however, the common causes include excessive sun-exposure to your skin that might result in causing blood vessel abnormalities. Our laser treatments will not only help you cure the problem but also help you prevent the symptoms of rosacea. The broken capillaries and redness can be easily corrected using our effective laser treatments. The combination of our two laser wavelengths, KTP 532 nm and Nd: YAG 1064 nm, is considered the best approach to achieving effective results. 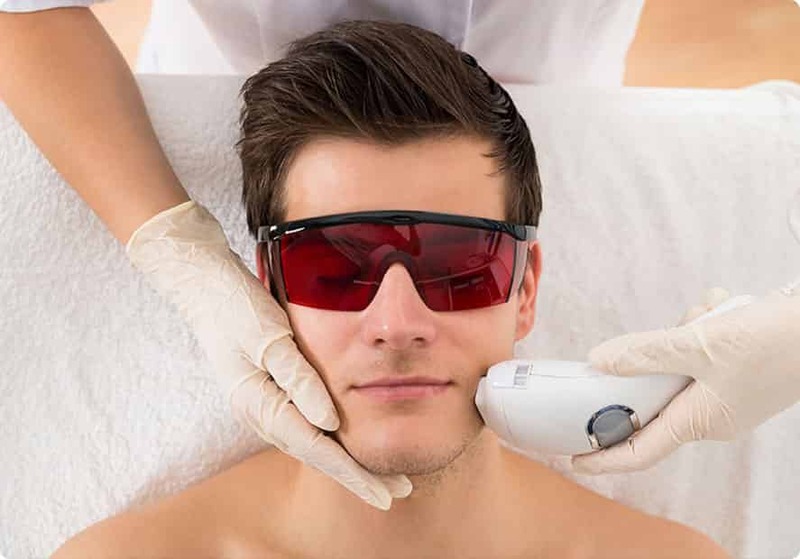 Our KTP 532 nm laser gets attracted to the oxyhaemoglobin in your blood vessels and effectively reduces facial redness. The 1064 nm wavelength of the laser penetrates deeper and eventually thromboses the blood vessels that might feed the facial capillaries. Make sure that you treat rosacea as early as possible because it can damage your skin to a great extent and can cause thickening and worsening of the redness of the skin. Nail Fungus also called as ONYCHOMYCOSIS is a common fungal infection that can cause cracks and cuts through your nails. It can change the colour of your nails to pale yellow, white or brown and make your nails get thicker. Nail fungal infections can be caused due to a variety of fungi (fungal organisms) and are usually more common in older adults. As you age, your nails start getting brittle and dry. This results in cracks in the nails, which eventually allows fungi to enter. Nail fungus is more common in toenails than fingernails. How Does A Nail Fungus Infection Develop? The fungal organisms strive to overpopulate in warm and moist environments. Therefore, when you wear shoes for the maximum time of the day, it gives fungi the required moisture and warmth, and thus, they thrive to multiply. It basically occurs due to the overgrowth of fungi, in or under the nail. A fungal infection can also be caused if you have come in contact with a person suffering from it or in salons, due to the use of infected tools.. Therefore, when you get a manicure or pedicure at a salon, make sure to ask how often the staff sanitises their regular tools. A serious case of nail fungus can be bothersome and painful. It can sometimes also cause pain and damage to your nails. Therefore, if you feel it is worsening contact our team of Fresh Skin Canvas now. We use advanced laser technology to damage the fungi infected cells, leaving the surrounding cells unharmed. 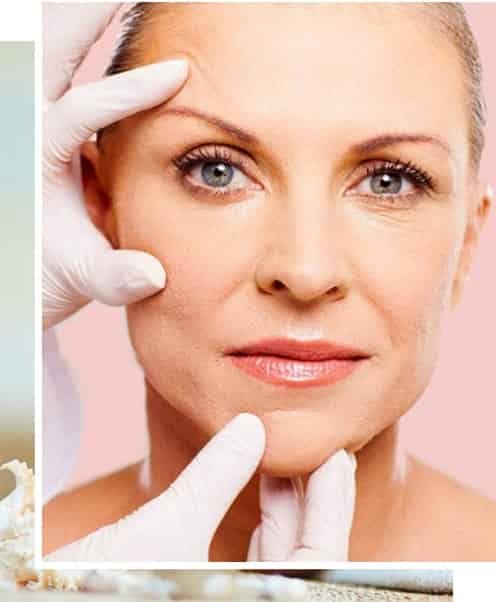 In Microdermabrasion, generally, the top layer of the skin is exfoliated using mechanical abrasions and then a gentle vacuum suction is used to simulate the collagen production which clears out all the congested pores. This treatment exfoliates the top layer of your skin and gives you a youthful and radiant complexion. It is a very quick method that requires about 20 minutes and therefore it is also called “lunchtime peel”. This treatment uses medical grade diamond tips on your skin’s surface to remove the dead layers of your damaged skin. 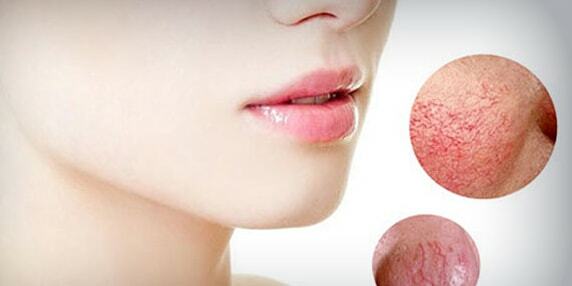 If you have severe acne or pigments, you should go for our microdermabrasion extractions. Once we extract out the dead and damaged skin, your skin begins to improve and starts clearing out. However, it is also important that you follow up a good skin care routine and the right products to maintain a healthy skin. A Dermapen is small and easy to operate skin treatment device that tends to deal with a number of skin problems like acne, pimples, stretch marks and wrinkles. It is a micro-needling process that creates tiny punctures on the top layer of your skin by piercing the skin vertically. It triggers the repair process of your body and creates more collagen, giving your skin a total rejuvenation treatment. Try our Dermapen 4! It is the latest, most advanced and innovative micro-needling device for the best result. A Dermapen is a device that consists of needles on the tip that are used to puncture the top damaged layer of your skin. Usually, it is positioned vertically and when turned on, the motor inside the Dermapen makes the needles move back and forth on your skin, thus, creating punctures. These punctures eventually open up pores for a limited period of time, initiating the skin to start its repair process by stimulating a number of growth factors. This eventually results in the production of more collagen to promote the “healing” of the skin and giving you a revitalised, smoother and softer skin. During the treatment, you might experience a vibrating and slightly stinging effect but it is a very comfortable method compared to other skin treatments. Our advanced Dermapen technology treats all your contours and areas including under eyes and upper lips. After the treatment, your skin might look red like you have had a mild sunburn, but it lasts for about 2 days at maximum. Grade peels or chemical peels have proved to be one of the most effective treatments for eliminating skin irregularities and improve the overall appearance of your skin. It involves the application of chemical solutions to your skin in a safe and controlled manner, damaging the skin tissues. This damaged skin is likely to regenerate after a chemical peel through the growth of skin collagen, resulting in a glowing and healthy skin. Our Medi-facials are a great alternative to chemical skin peeling for those with sensitive skin. In Medi-facials, we incorporate exfoliants induce controlled wounding on the damaged uppermost layer of your skin to improve its texture and appearance. Laser facial resurfacing is a skin treatment that is used to treat facial wrinkles, blemishes, acne and other skin irregularities. It removes your skin layer by layer, with accuracy and lets it form new cells, giving a healthier and younger look. Laser Facial Resurfacing is a revolutionary approach that gives you a healthier and refreshed appearance in addition to lighter and smoother skin tone. Through a continuous series of treatments, you will notice a natural and gradual result. This skin treatment is quick and safe to be performed on any skin type regardless of age or gender. Carbon laser peel is a profound and revolutionary facial treatment that uses Nd YAG laser to remove the damaged outer layer of your skin and treat its imperfections. This treatment is highly recommended for people with oily skin, acne, blackheads or enlarged pores. It is an excellent way to rejuvenate your skin and provide it with a refreshed and softer appearance. This treatment uses laser beams to treat your skin imperfections and restore your skin’s natural radiance and glow. Cleansing – Carbon has the potential to absorb all oil and contaminants from your pores. Our Nd YAG laser destroys all the carbon particles during the carbon laser peel method while taking away any absorbing material along with it. Exfoliating – Our laser targets carbon and blasts away dead skin cells or blackheads. It exfoliates your skin to give you a softer and radiant skin with an even tone. 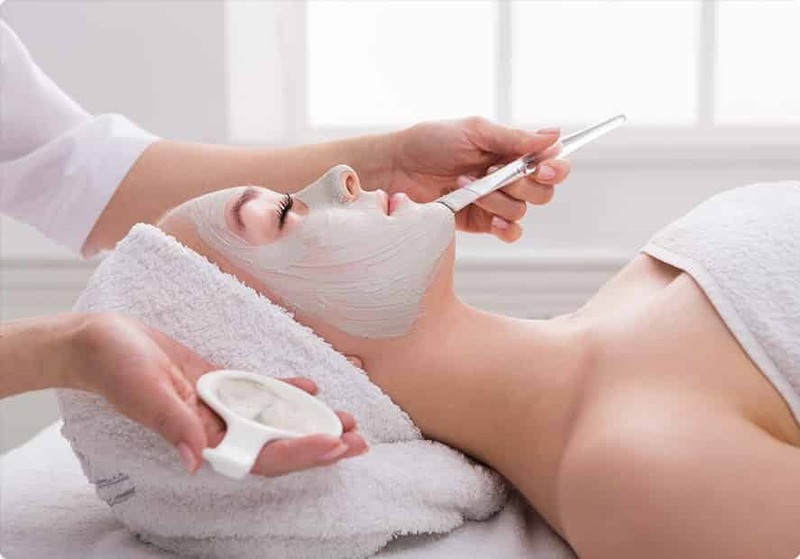 Rejuvenating – Carbon chemical peels target your damaged skin and penetrate deep to stimulate collagen production, which in turn results in a healthy and plumper skin. This further helps in reducing acne, wrinkles and fine lines. Acne and Oil Damage – Your skin will experience reduced acne bacteria and shrink of oil-producing glands due to the heat produced by the carbon peels. It results in lesser oil production and outbreaks by reducing congestion in the pores. It is important that with all the skin treatments, you follow a good skin-care routine and use a good sunscreen with high SPF. It is recommended that for noticeable long-term results, you go for regular treatments as these treatments are simple and involve no downtime, allowing you to resume normal activities after the process. We offer waxing and tinting for all areas of your body along with above-mentioned skin care treatments. Tinting and waxing are efficient and inexpensive ways to simplify your beauty routine. Tinting dyes your lashes and brows and it lasts for about 3-5 weeks. At, Fresh Skin Canvas we provide waxing and tinting services in the safest and efficient manner to polish your overall look. If your skin is dull and dehydrated or has hyperpigmentation, acne or rosacea, call us at Fresh Skin Canvas today at 03 9481 7272. We will make sure your skin looks young, tighter and refreshing. Thermaslim Treatment or Infrared Thermal Therapy treatment is an evident and proven method that helps you burn body fats and calories by flushing out the toxins from your body. It is equivalent to losing about 1200 calories in 60 minutes or running for about 10-15 km. DOES THIS TREATMENT WORK?Due to the high level of stress and toxicity in today’s lifestyle, we often compromise with our body’s ability to heal. Often, we might reach critical levels of stress and toxicity but might not have the energy to repair our bodies. Our Infrared Thermal Therapy simulates and helps in activating body’s blood circulation resulting in a natural healing and repairing process. The human body responds very easily to infrared energy and therefore, it is being recommended by the doctors worldwide. When you come for a treatment with us, make sure you do not eat anything 1 hour prior to the treatment and drink at least 1 litre of water. Also, wear loose fitting clothes.